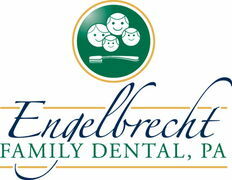 At Engelbrecht Family Dental, PA there is nothing more important to us than YOU! We understand each person has their own individualized needs and concerns. We strive to meet those needs and address your concerns so that you have the most comfortable experience which we believe you deserve. Dr. Chad has years of experience in everything from preventive treatment and fillings, to treating more complex dental issues such as dental implants and cosmetic dentistry. A healthy smile is not only a wonderful asset; it's also a key to you and your family's overall good health. Call now for an appointment at (651) 730-9266 or just fill out our simple online form. Please don't hesitate to contact our local Woodbury dental office, Engelbrecht Family Dental, PA if you have any questions. We look forward to speaking with you! One of the things I hate most about job relocation is finding a new dentist. I have three expectations from a dentist. 1. Cleanliness (facility, staff and equipment) 2. Painless 3. A bill that is fair. Engelbrecht Family Dental delivered on all three points. Thank you! Thank you Dr. Chad and Carrie for being so kind and calm at my last appointment. As you are aware, I am very nervous to have dental work done. You are professional and kept me comfotable during a difficult procedure!